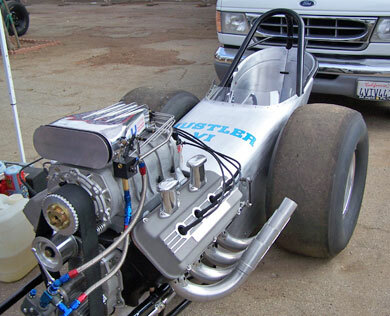 Continuing the legacy of the line of great dragsters, the Hustler VI was the last of the Top Fuel cars fielded by the brothers Art and Lloyd Chrisman and Frank Cannon. 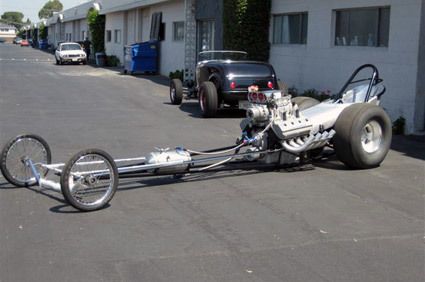 The original Hustler was built in the Chrisman and Sons Garage in Compton in 1957 and engine was supplied by Cannon having been removed from his killer 55 T Bird specifically for the dragster. 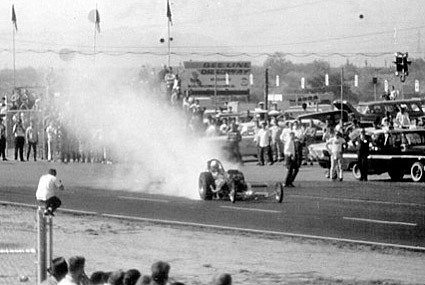 The decision to race in the fuel dragster class (when NHRA had banned fuel) was Frank's idea as the fuelers were getting all the "go fast" publicity. 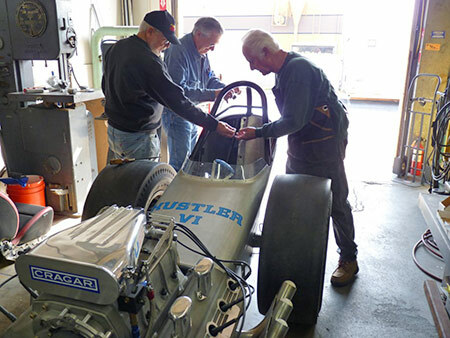 In its illustrious career, the Hustler won the very first March Meet in 1959 and was runner up in 1960 and 1961 and today is restored to original condition and appears with the engine running at all CHRR events. 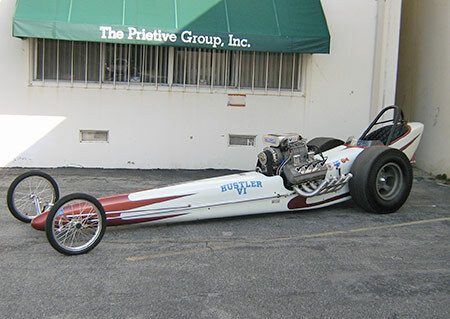 When Art parked the Hustler, Cannon took up the cause with Hustler II and campaigned it throughout Southern California. 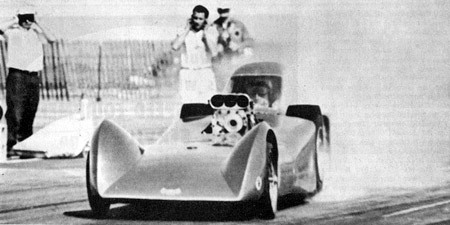 A succession of improved chasses, each one carried the Hustler name, were raced. 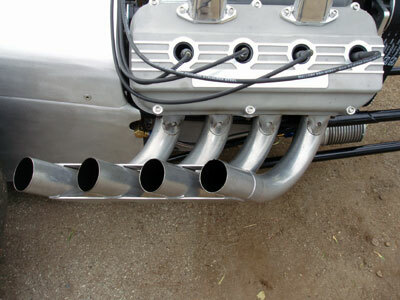 Hustler V introduced Zoomie headers to the drag racing world and promptly became the first car to run 200 mph on the West Coast. This brings us to Hustler VI. The history on this car is a short one. 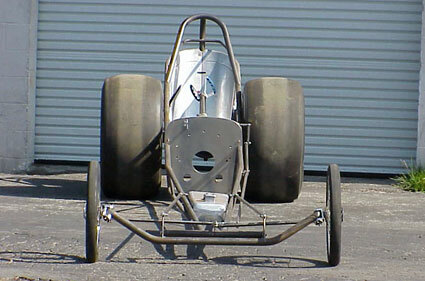 It was built as the second Race Car Engineering (Woody) factory car. The first was Paul Sutherland's Charger. 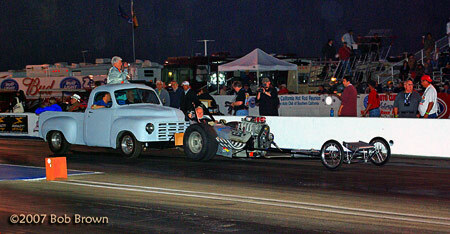 The cars assembly was finished in late January of 1965 and made its maiden voyage at Beeline Drag Strip in Arizona. 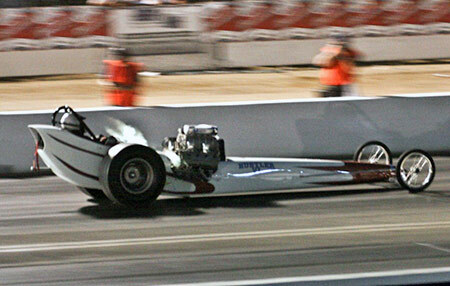 The occasion was the AHRA Winternationals. 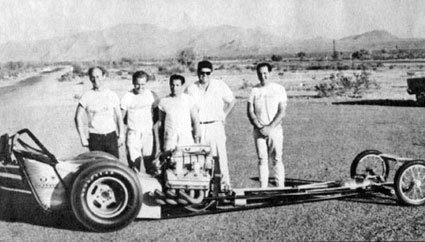 The people involved were Woody Gilmore owner of Race Car Engineering, Frank Cannon, Amos Satterlee employee of Cannon, Pete Ogden, employee of RCE and current owner Don Prieto also an employee of RCE. With Pete Ogden at the wheel, the car qualified first pass and ran right up to expectations. They made several additional passes and improved the qualifying time only slightly. 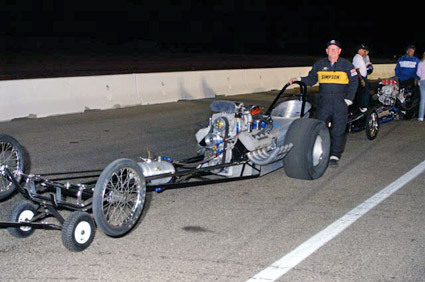 On the same weekend, RCE also debuted the brand new full bodied Ramcharger car with Don Yates, driver of the Prieto, Cagle and Yates fueler, at the wheel. 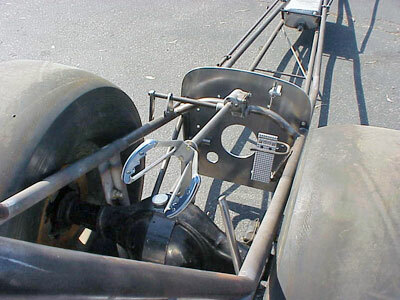 Since Don Westerdale (Ramchargers regular driver) could not make the trip, Yates was given the seat. 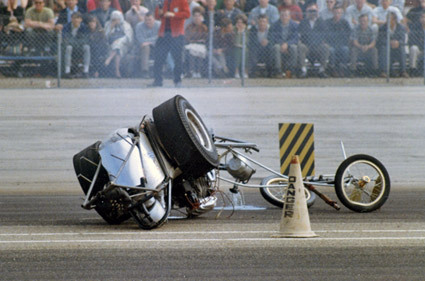 He promptly drove it off into the dirt --- it was unhurt in the incident, and eventually qualified for the field of 16. 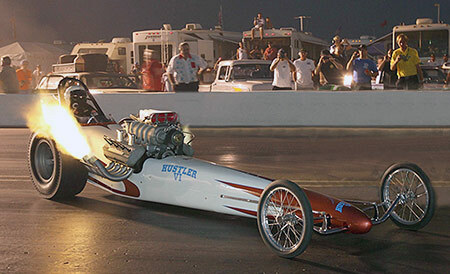 The Hustler VI faced Bobby Langley in the first round and put him away with solid 8.10 and 198 mph. 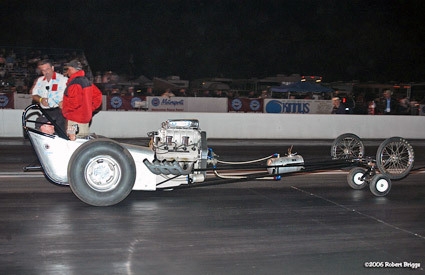 Second round was scheduled against Connie Kalitta but Cockeye split a rod long ways and they singled. Third round they faced Dean Turk of Phoenix in the Turk and Walmsley rail. Pete lost in a hole shot. Pretty encouraging performance for a first time out. 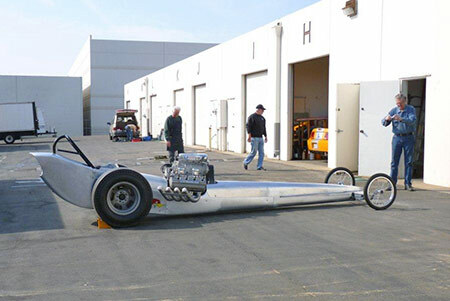 The guys returned to California and proceeded to out fit the Hustler VI with a full streamlined body designed and built by Robert "Jocko" Johnson. 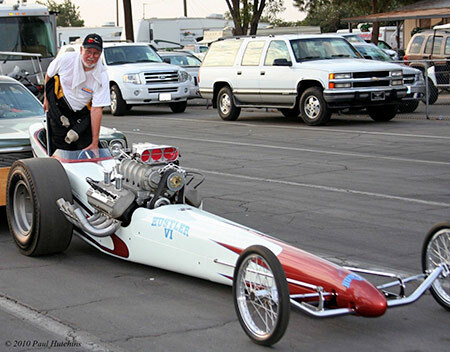 It was done in time for the US Fuel and Gas Championships at Bakersfield in March of 1965 - but just barely. 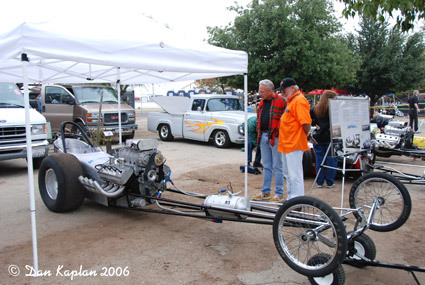 They had no shakedown runs and had no idea how it would perform with the never proven body design in place. 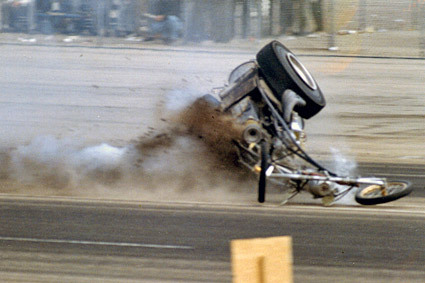 On the first run the car left hard, but driver Pete Ogden reported that the motor was pulled down in the middle of the quarter mile and didn't recover. They cooled it down and hopped it up a bit and got back in line. The second run, it launched hard and this time it didn't bog at mid track, instead it smoked the tires really hard from about half way down. Pete reported that it had plenty of power but didn't seem to charge the last 400 feet like it should. 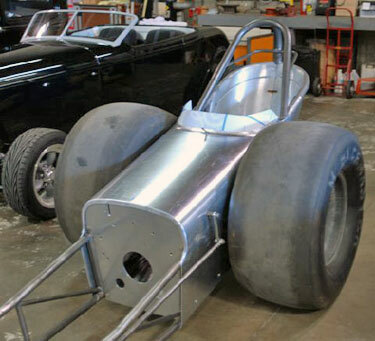 Since they weren't qualified, it was decided that they would remove the streamlined body and run the car as in conventional trim to get in the show. 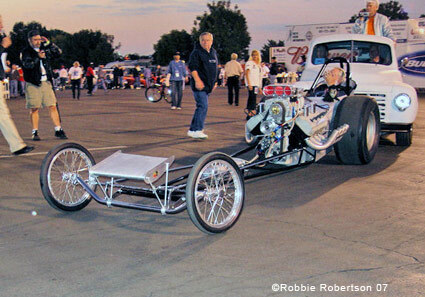 On the next pass without the body, Pete qualified the car with a strong 7.75 second ET that put them in the 64 car show. On Saturday before eliminations, it was decided that they should make another pass to be certain that everything was okay. It turns out that was a bad idea! The left lane has been severely oiled down about 150 feet off the starting line. 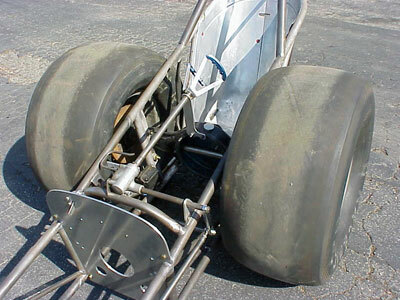 As Pete approached the oil slick, the right rear tire freewheeled and the car took a slow arc with the rear end coming around spinning out. As it spun, the rear tire dug in and the car did a quick snap roll and then up and over end over end. 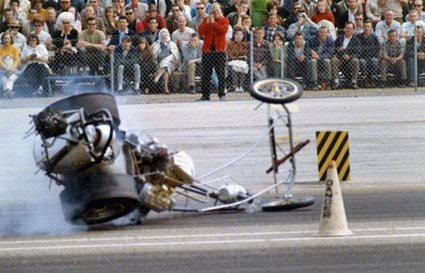 Since the accident happened at low speed, only the tubing from the engine forward got bent up. Pete was unhurt. Woody was devastated and as one could expect quite disappointed. He tossed the body over the fence got in his truck and headed home to Long Beach. 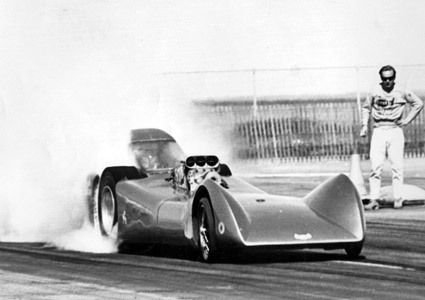 Meanwhile, the Mooneyham car advanced to the second round but pushed out a cylinder wall. 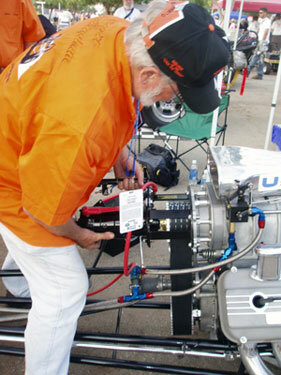 They pulled the Cannon 392 from the bent up Hustler VI chassis and stuffed it in the Jungle 4 racer in time for the next round. 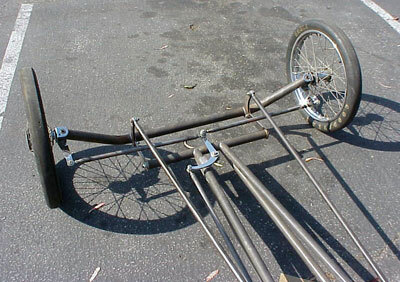 Back in LA, the frame of Hustler VI was stripped of all of the "trick" hardware, the front end cut off and the cage was stuffed in the rafters. End of deal. 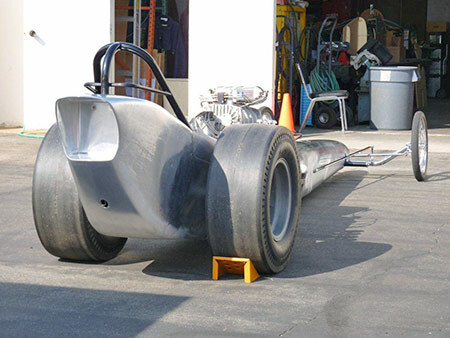 Don Prieto want's everyone to know that this race car is more than the sum of its parts. It is done and dedicated to the memory of those racers who were involved in sport's greatest era. 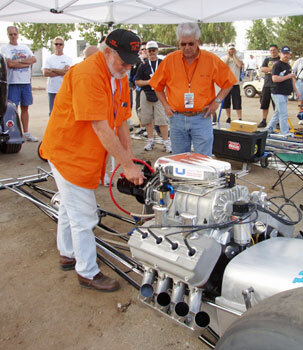 A time when a couple of guys could gather together a bunch of parts in various garages, buy some nitro at the local speed shop and go racing on the weekend. 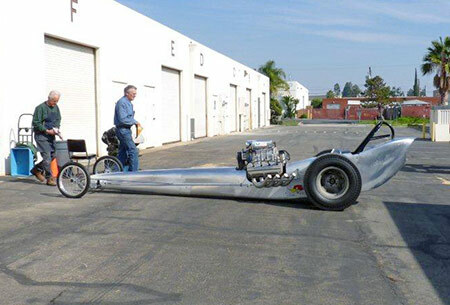 Not a big budget pro fuel dragster but a consortium racer. 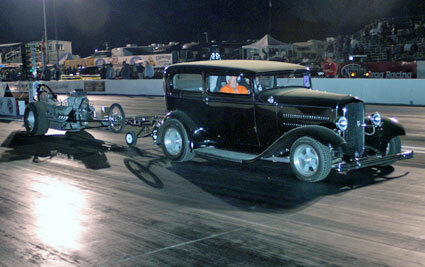 This is and was in my opinion, the true essence of drag racing. 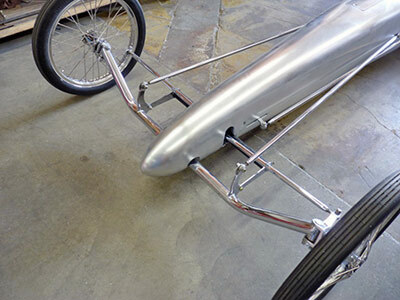 On this restoration Prieto had a lot of help from friends on this project and they include: Nick Arias Jr., Steve Davis, Pete Eastwood, Trevor Larkin, Scott Cochran, Mike Thermos, Doug Kruse, Mike Kuhl and of course Art and Mike Chrisman. The car is classic "Woody". 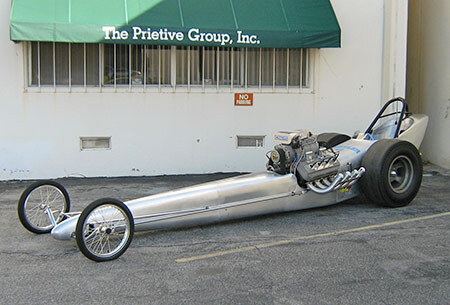 It was a no nonsese "business coupe" then and that is the way Prieto restored it. No excess chrome, fancy paint or anodized parts. There was and is nothing on this car that didn't need to be there. 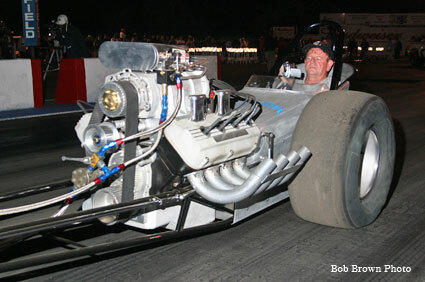 Doug Kruse did the body - just as it was. 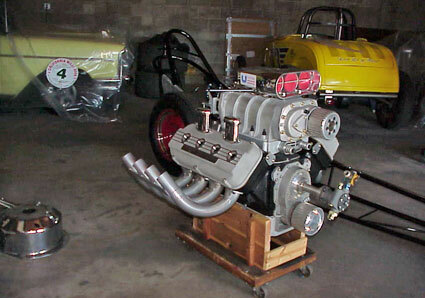 Classic chassis - classic 392 hemi. No polished blower or valve covers. Polish never added a thousanth to an ET. 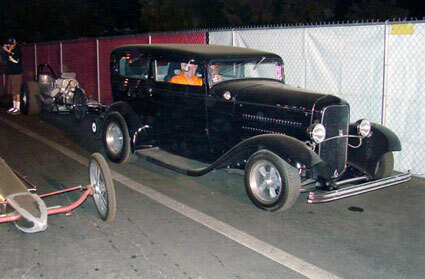 Prieto's target date for completion was the 15th California Hot Rod Reunion. He made that date and that is where the car made its debut. 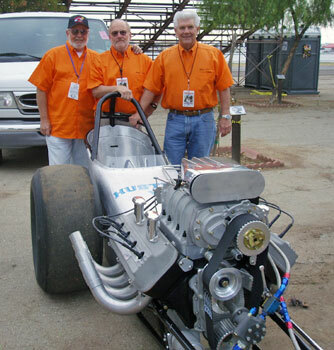 Prieto with his "pit crew" and old friends Olaf Lee and Glenn Cupit. 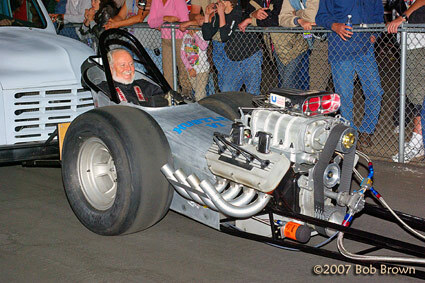 "The Tinman" Tom Hanna looks over the car with Don Prieto. 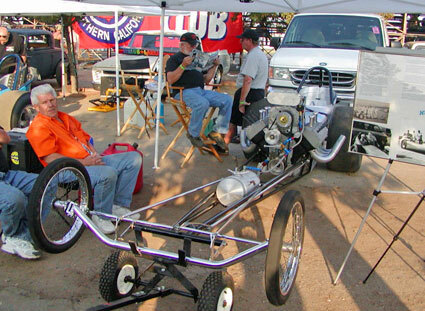 This is a fueler real racers just have to love. 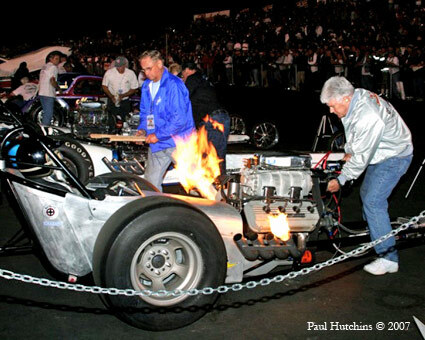 The car was static fired several times over the weekend. 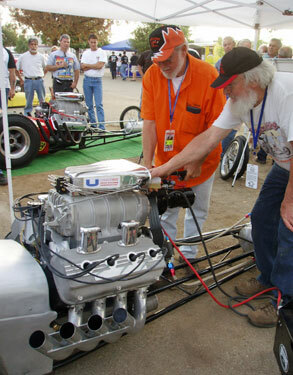 Here veteran drag racer, Wayne King lends Prieto a squert of alky to prime the engine. Brian Pain got the seat for this fire-up and later in the Cacklefest. 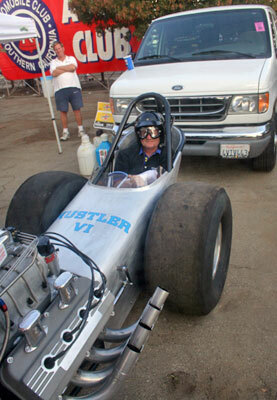 The Hustler in the staging lanes prior to Cacklefest VI. Brian Pain in Cacklefest parade and at the top end. CHRR Cacklefest 2007 found Prieto and his Hustler VI ready to rumble. 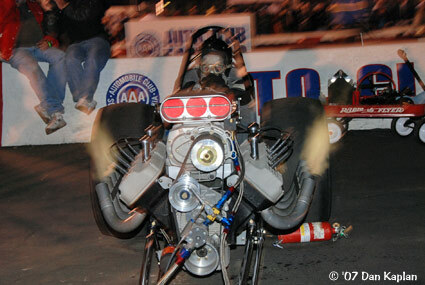 Opting to do a static start, Prieto's stout 392 had some nice header flames. 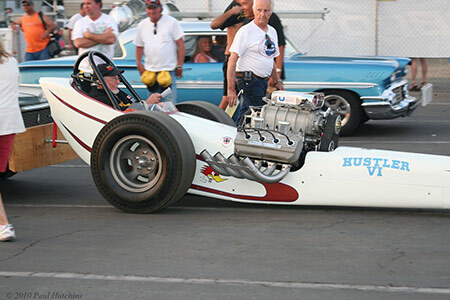 Cannons Hustler V was raced with a tail section that was built by Willie Sutton and painted Sierra Gold with Alpine white stripes. Hustler VI crashed having had an unsuccessful streamline body used and removed. 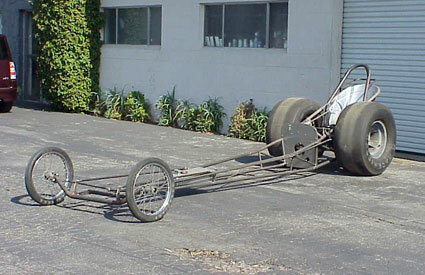 The current body is a combination of the Hustler V tail shape and my interpretation of the original Hustler I morphed onto a 150 inch wheelbase. Both Mrs. Cannon and Art Chrisman were shown the project from start to finish and they approved. 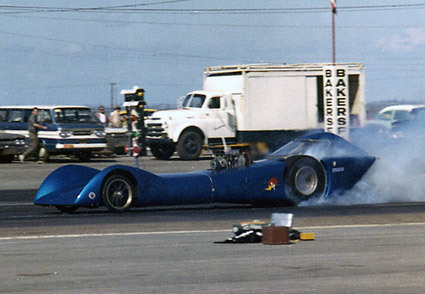 The colors on the tail are reversed while the nose is a replication of Hustler I. Doug Kruse, Fred Muhlenhart (RaceTec in Oxnard), and Don Prieto did the new body. 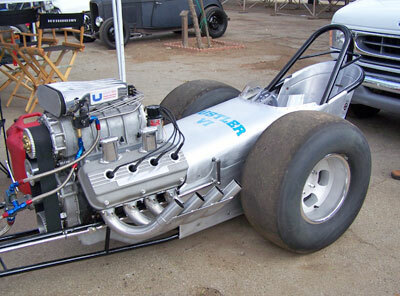 The full body verson of Hustler VI debuted in 2010 with Preito in the seat.